A group of south-central Kansas residents began meeting in 2011 with the goal of preserving the legacy of Blackbear Bosin (1921-1980) for future generations. Under the auspices of the nonprofit Carriage Factory Art Gallery in Newton, Kansas, the group pursued publication of a book about Bosin’s work as well as other educational projects. 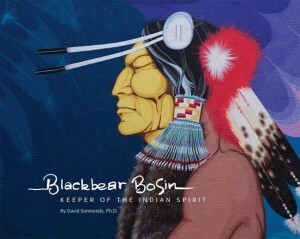 The resulting book, Blackbear Bosin: Keeper of the Indian Spirit, was published in December 2012. The hardcover, 96-page book features historical photographs and 44 full-color paintings by the self-taught Kiowa-Comanche artist who captured the spirit of a bygone era in his art.